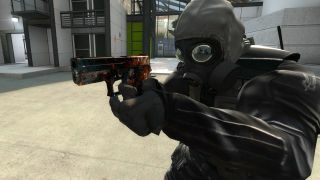 The ESL is headed back to Katowice, Poland, for a 16-team Counter-Strike: Global Offensive tournament with a prize pool worth $250,000. Taking place from March 12-15 at the Spodek Arenda, the tournament will feature the eight Dreamhack Winter 2014 quarter-finalists—HellRaisers, Ninjas in Pyjamas, Virtus Pro, PENTA Sports, Team LDLC, fnatic, Team Dignitas, and Natus Vincere—plus eight more teams that will be determined by upcoming qualifiers. The final stage of those qualifiers will be held offline in Katowice over February 14-15. Tickets to ESL One Katowice 2015 may be purchased here, and of course the whole thing will be streamed live for the benefit of those who won't be in Poland in March. Find out more at ESL-One.com.